Most IDF kitchens will receive “mehadrin” kashrut certification in the coming years, the IDF Chief Rabbinate decided this week. Most IDF kitchens – on bases, in the field, and at institutions – will receive “mehadrin” kashrut certification in the coming years, the IDF Chief Rabbinate decided this week. The new certification will increase the level of kashrut supervision in army kitchens, ensuring a higher level of observance. The move is expected to make it easier for religious and hareidi-religious soldiers to serve in a wider range of IDF units. An article in the IDF magazine BaMachaneh quoted Rabbinate officials, who said that currently nearly all the products used by the IDF already have mehadrin kashrut certification, the exception being beef, which has a “regular” kashrut certification. IDF kashrut supervisors will begin in the coming months to attend special courses on mehadrin supervision. IDF Kashrut Supervision director Rabbi Rafael Amar told BaMachaneh that the move is long overdue. “Soldiers from all parts of Israeli society serve in the IDF. As many as 40% of soldiers are graduates of Hesder yeshivot and religious pre-IDF academies, and they demand a higher standard of kashrut. Today there are many more religious soldiers in the IDF, and a greater awareness of kashrut issues with demands for higher standards. And when those higher standards are implemented, the army will be able to reach other groups who will be able to serve without worrying about their religious commitment,” he said. 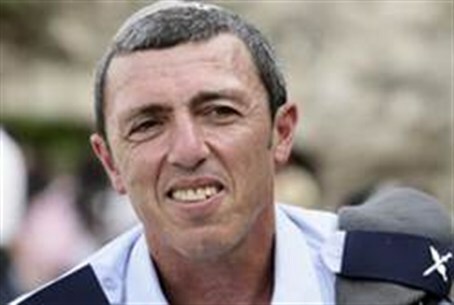 Rabbi Amar said that the move was part of the overall vision of Chief IDF Rabbi Rafi Peretz, who seeks to ensure a greater sense of unity between soldiers of all backgrounds. “At bases where most of the soldiers are religious it's easy to ensure that the standards are good, but the true test of unity is when more religious and less religious soldiers are able to eat at the same table without concerns,” he said.